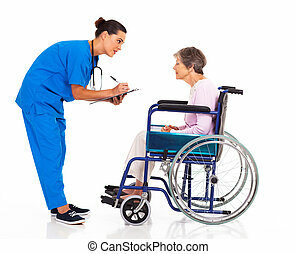 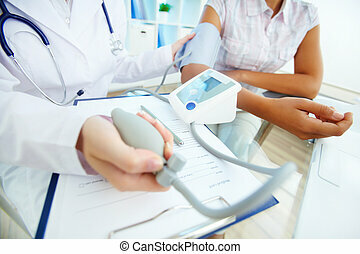 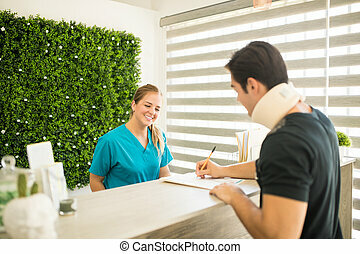 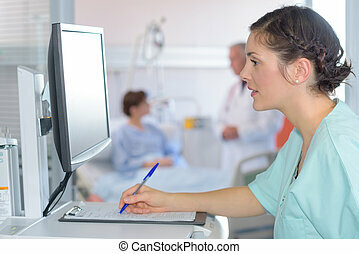 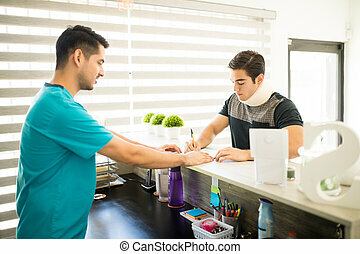 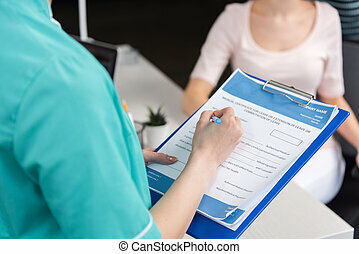 Filling medical form, document, stethoscope. 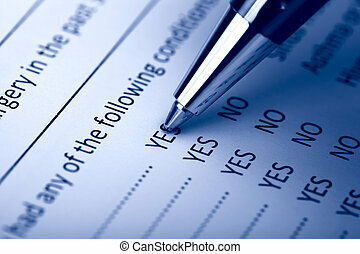 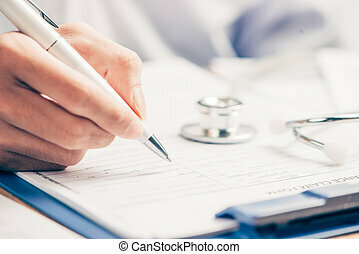 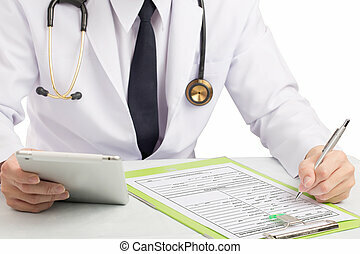 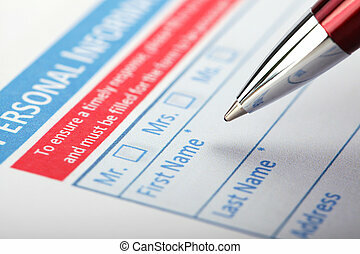 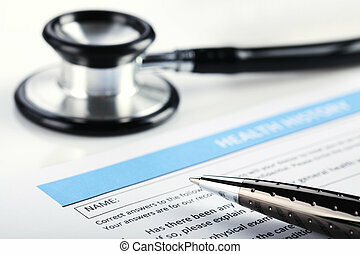 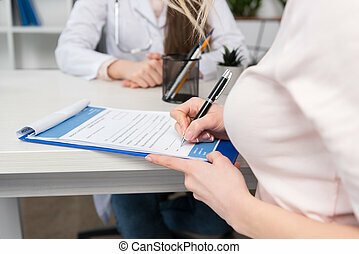 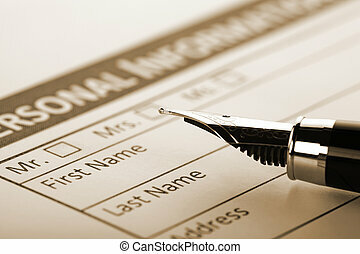 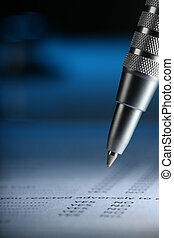 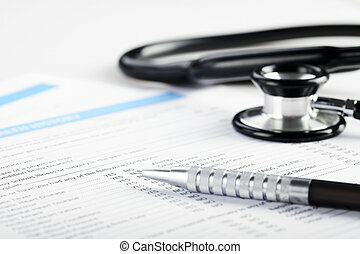 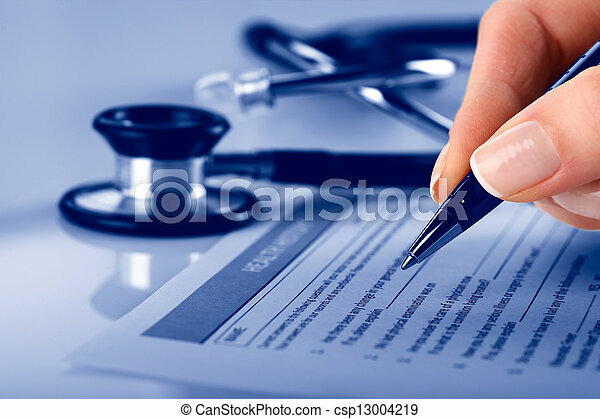 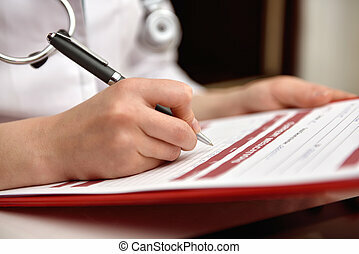 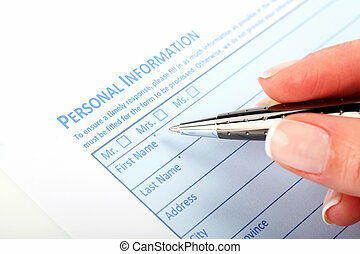 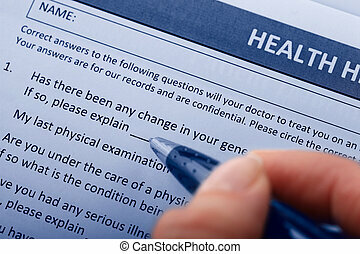 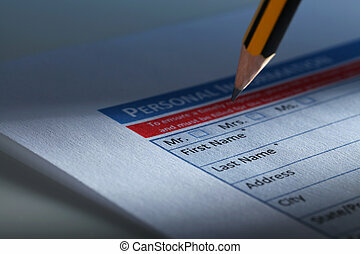 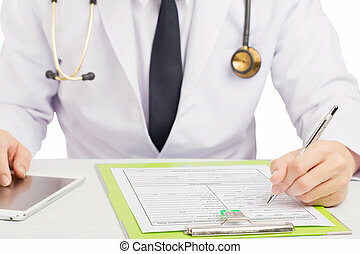 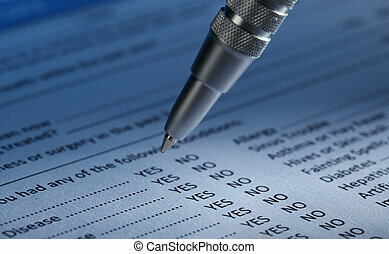 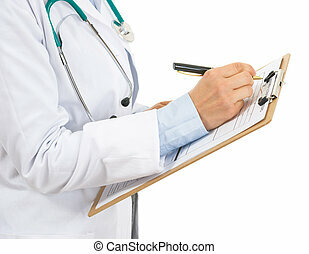 Doctor record history or filling medical form. 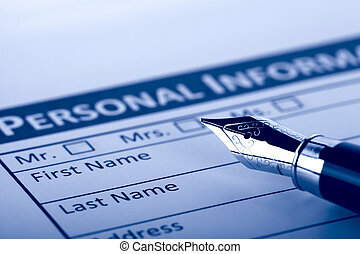 Personal data. 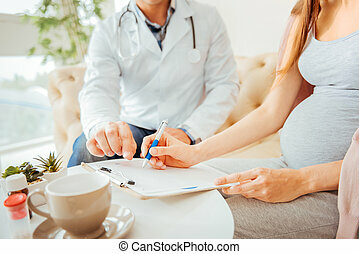 Scaled up look on an expectant mother writing next to a doctor and writing something down in a clinic. 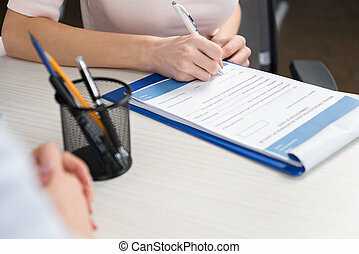 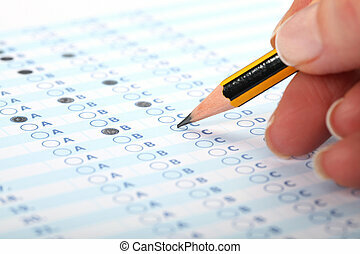 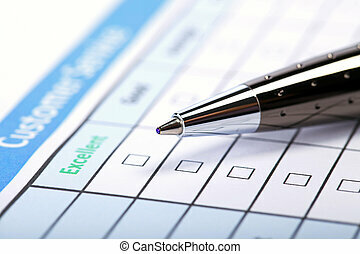 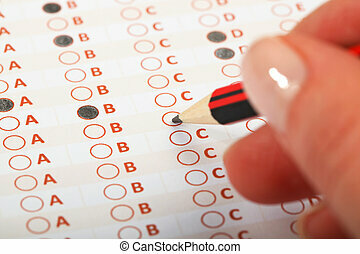 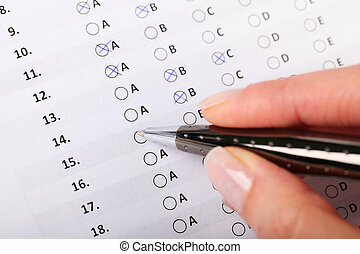 Business Concept - Hand filling in an evaluation form.